I received an invitation months ago to try the newly opened burger place called Cali Burger. I couldn’t go on the same day but it was on my mind to try it some other day. That some other day was last weekend. 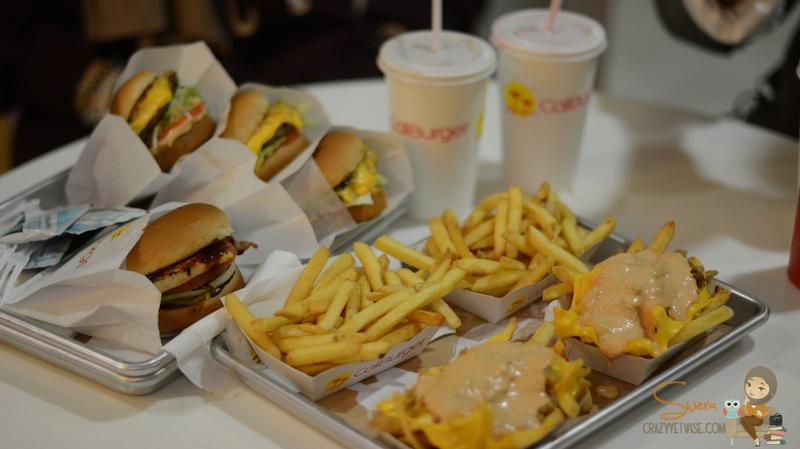 When we had a very long break and we went on a family trip to Alwafra, then Bnaider, and finally ended the day at Cali Burger. I was eager to try their Wild Style (Animal Style In-N-Out) fries, that they say it’s almost like In-N-Out. And we also ordered the classic cheese burger. The burgers were good but not wow. The size, the cooking, the bun and the sauce, all were really good but as I said, not that WOW.